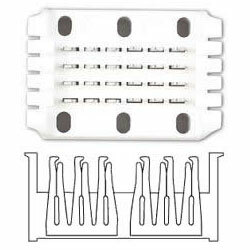 Field terminated 66 punch down block with 4 pair capacity. Quick clip: 843. Minimum order quanity, 10 pieces.